Science helps us understand the world around us and allows students to develop critical thinking skills. Neuroscience is at the forefront of scientific discovery and a great way to get kids of all ages excited about science. Kids want to know what makes them think, move, and feel the way they do! This makes neuroscience so relatable for everyone. Our goal is to make sure every child has the opportunity to learn how their brain works. We are BrainReach North, an online science-education resource developed and run by graduate students in the Integrated Program in Neuroscience at McGill University in Montreal, Quebec. We provide fun, interactive, neuroscience-based learning materials for teachers and students in remote areas who wish to enrich their science program and teaching. To engage youth through interactive lessons to help them understand why science is fun and important in our lives. To connect students in remote areas of Quebec with real-life working scientists in Montreal. To inspire the next generation of neuroscientists, wherever they may be! BrainReach has been providing in-class science demonstrations to students in Montreal for 5 years. Our volunteers don’t have the opportunity to travel to more remote parts of Quebec, especially in the far north. We started BrainReach North to reach northern communities and give students all over the province the opportunity to get excited and learn about neuroscience. BrainReach North seeks to ensure that our resources are aligned with the values and goals of the communities we serve. We are happy to help you adapt our lessons to your classroom, and are open to suggestions on how we can enrich your experience with us. In collaboration with Let's Talk Science at McGill University, BrainReach North recently visited the Naskapi Nation of Kawawachikamach, QC to lead lessons and meet with teachers at Jimmy Sandy Memorial School. We hope to do more outreach trips in the future! 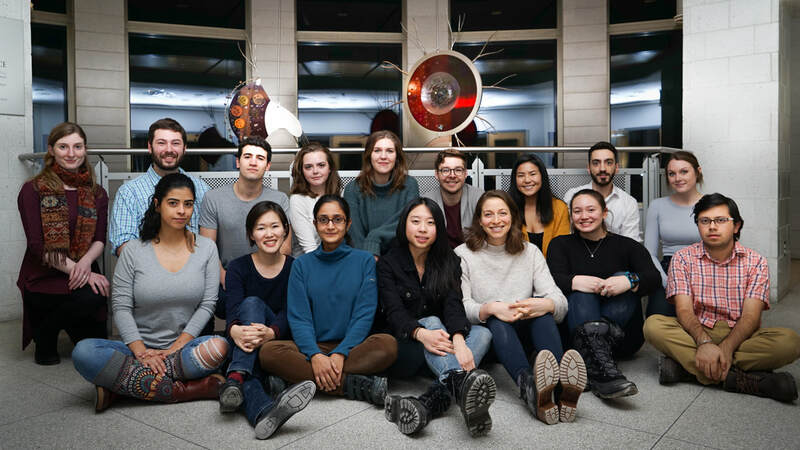 BrainReach North is a division of BrainReach, a student-run organization at McGill University. Click below for more information. If you have any questions about the program email us anytime at brainreachnorth@gmail.com.